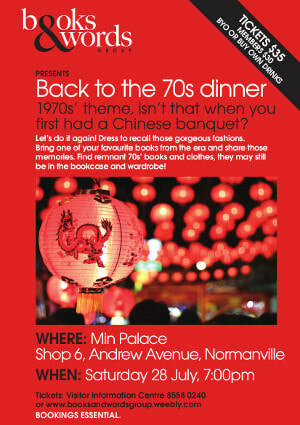 "Back to the 70s dinner"
Let's do it again!1970's Theme. Isn't that when you first had a Chinese Banquet? Dress 70s. Bring one of your favourite books from the 70s and share highlights. BYO or buy your own drinks.